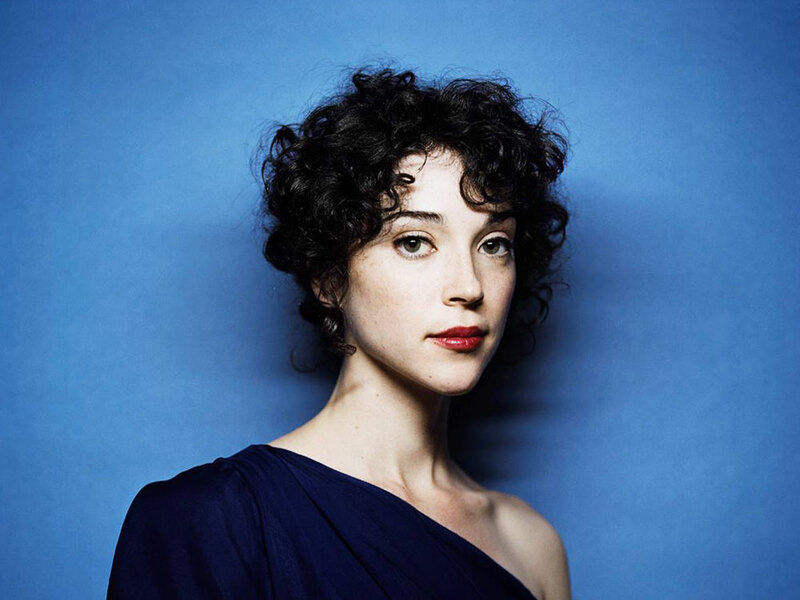 St. Vincent On World Cafe : World Cafe Under the St. Vincent moniker, Annie Clark weaves together songs that are at once pristine and abrasive, demonstrating her prowess not only as a vocalist and guitar player, but also as a composer and arranger. Web Only Extra: St. Vincent Performs "The Strangers"
On paper, Annie Clark's output under the St. Vincent moniker often sounds as if it should topple into chaos mid-song: Airy flute melodies and pristine vocal harmonies crash headlong into snarling, distorted electric guitars, crashing drums and stabbing horn parts. Thankfully, her work sounds better on record than on paper: Her ability to successfully juxtapose seemingly disparate elements has gained her a seemingly endless parade of critical adulation for her latest album, 2009's Actor. Clark swings, seemingly effortlessly, from overdriven, madcap riffs to gorgeous, blissful passages driven by strings and woodwind. Since the release of Actor, Clark has been touring incessantly, making appearances on late-night television and collaborating with the likes of David Byrne and Bon Iver's Justin Vernon. With almost a year's worth of touring under their belts, Clark and the players who make up the touring incarnation of St. Vincent sound tighter and more confident than ever in this World Cafe session. This segment originally ran Feb. 25, 2010.